Steven Wright appears on Saturday, Oct. 20, at Uptown Theatre, 1350 Third St., Napa. 8pm. $40–$60. Ages 12 and up. 707.259.0123. 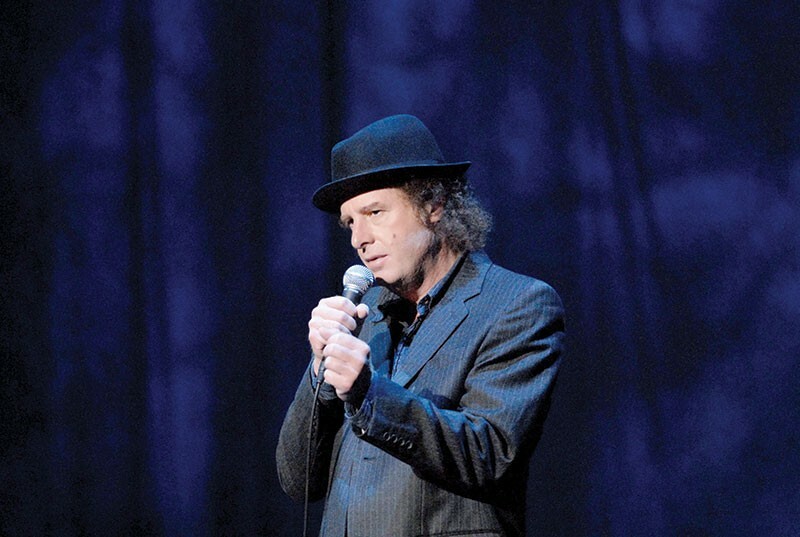 Steven Wright possesses one of the most recognizable voices in stand-up comedy. For more than three decades, his monotone, deadpan comic delivery, verging on somnambulism, stands in sharp contrast to his razor-sharp one-liners and keen philosophical point of view. Wright performs at the Uptown Theatre in Napa on Oct. 20. Gifted with a deep bass voice and naturally laid-back demeanor, Wright's signature subdued persona and non-sequitur style made him a legend in the standup scene. On groundbreaking comedy albums like I Have a Pony, his jokes are often little more than a single sentence long, like "I spilled spot remover on my dog, and now he's gone" and "I'd kill for a Nobel Peace Prize." Growing up in the Boston suburbs, Wright first became enamored with comedy on The Tonight Show Starring Johnny Carson, in the early 1970s. "That's how I got it in my head that I'd like to try to be a stand-up comedian," he says. His main influences at the time were George Carlin and Woody Allen, specifically Allen's early standup comedy albums of the mid- to late-1960s. "There was a radio show in Boston, and there was a guy who played two comedy albums every Sunday night, and I listened to it for years," says Wright. "The guy had an unbelievable collection of albums." The young comic instantly turned heads at the open mics he began performing at in the late 1970s, and before long a producer from The Tonight Show spotted Wright doing a set in Cambridge, and booked him on the show in 1982. "I was 16 when I started watching The Tonight Show, and my fantasy was to maybe go on there. And there I am, I'm 26 and I'm on there," Wright says. "That's still the highlight of my career. It was very surreal." Wright's debut appearance on The Tonight Show so impressed Carson that less than a week later he was invited to appear on the show again, a rare occurrence for any guest. In 1989, Wright's career took another turn when he won an Academy Award for Best Live Action Short Film, for The Appointments of Dennis Jennings. "That was surreal in a different way, I didn't even think of winning an Academy Award, that wasn't something in my mind," he says. "We made the short film for HBO and then they played it in the theaters first. That was really out of the blue." While Wright has continued acting in films and voicing on animated projects, the stage is where his heart remains. "It's fun to think of the joke, you're kidding around, you're just playing," he says. "And then being in front of the audience, everything is magnified, it's so intense. It's a magical place, like nothing else. The combination of writing and performing—I do it because I love doing it."